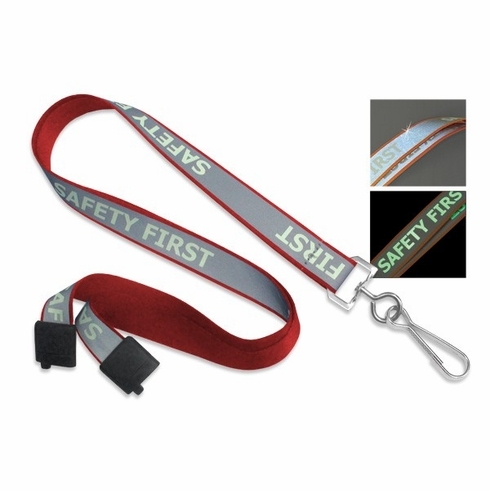 Reflective Lanyard with "Safety First" Luminescent Imprint & Nickel-Plated Steel Swivel Hook. Perfect For Outdoors. Lanyard Has A Gray Material That Reflects Light And Luminescent Imprinting That Glows-In-The-Dark. 36"